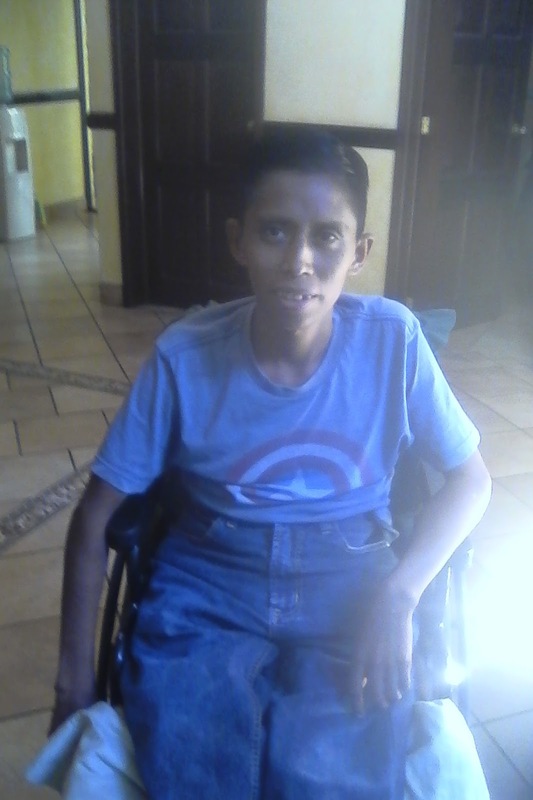 Roberto, one of the permanent residents of Casa de Esperanza has been hospitalized for the past 11 days with a ruptured appendix. Our staff has been doing a tremendous job of covering the house and helping to stay with him in the hospital, but it’s still been quite a strain on all of us—especially Roberto. This has also been a tremendous strain on our limited budget. Because of the emergency nature of this illness, we chose to use a private hospital. While the cost is nowhere near what it would be in the US, we are anticipating the bill will run us about $7000, which is far beyond what we have in our emergency fund. This has been my first time to deal first-hand with medical care here in Guatemala for something more serious than a cold. It has been a learning experience to say the least. There is a national hospital system which provides free care to patients—however accessing their services can be a challenge. You wait hours in the emergency room to see a doctor, and sometimes the skills of the physician you see leave quite a bit to be desired. You often must pay for extras, such as anesthesia and surgical supplies, so, in reality, this can still cost a significant amount. Private insurance is not available to persons with significant health care needs, such as our young men. So we did the best we could with what is available. for the 11 days he was hospitalized. even pitched in when we were short of workers. 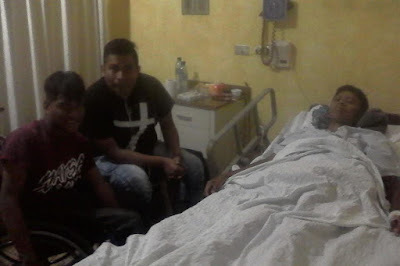 and here Moises came with me to visit him. Since I feared Roberto might have an appendicitis, I opted for the more expensive option of a private hospital. The head doctor saw him immediately, and diagnosed him. 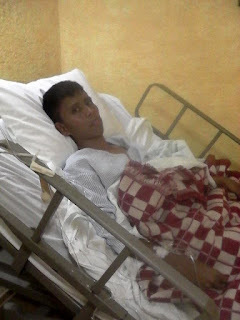 The problem was, the surgeon on call comes from Guatemala City only in the evenings. In the meantime, his appendix ruptured. and more than a half hour to finally find a vein that wouldn't collapse. After four days of IV antibiotics and a couple of pints of whole blood, the infection was not subsiding, and the doctors decided to operate. Surgery took place Saturday night, and lasted three hours. There were some complications—previous surgeries done after his original accident had “rearranged” his intestines, and part of his ruptured appendix was attached (?) to his bladder. The surgeon thought he had managed to clean out the infection sufficiently for him to recover more rapidly. Roberto's first time back in his wheelchair after surgery. Today we returned to the hospital to have his stitches removed, and he is progressing well. We are facing a new problem, however. If you remember Roberto, you might remember that he came to us with horrible bedsores. We have been working on them consistently, and he has been improving, except for one on his back. 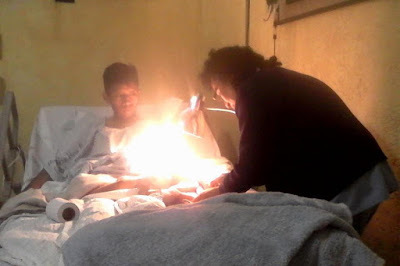 The treatment for his injury five years ago was to put a steel rod in his back to stabilize his broken spine. Over time, his spine has begun to curve forward, in part due to his poor posture. Before his recent hospitalization, the rod had begun to break through the skin. At first it was a small blister, which gradually increased to about a half inch opening, exposing the rod. He was seen by a neurosurgeon in late December, and he recommended using a particular membrane which is often effective in treating wounds such as these. Unfortunately, it was not working, and we were making plans for Roberto to go to the orthopedic hospital in Guatemala City when his appendix acted up. This was obviously put on hold to treat a more life-threatening condition. After the time in the hospital, however, the opening has progress to be about 2 inches long, and very painful for him. I have to admit this is all pretty overwhelming to me. I thought caring for his bedsores was difficult, but it pales in comparison to having to clean and bandage this wound on his back. I know I can only do this because of the strength God gives me to face it, but it scares me each time I bandage it. It breaks my heart knowing that, unlike his bedsores, he feels extreme pain every time I treat the wound. So, now that he is cleared to move on for further treatment, I sincerely ask you to pray for wisdom in deciding where to have this next surgery done. The orthopedic hospital is part of the national hospital system, and I am very concerned about the quality of the care he will receive there. With the expense of his recent hospitalization, however, a private surgeon seems out of the question. Our neurosurgeon is recommending one of the orthopedic doctors who he believes to be competent, who works at the national hospital. We are trusting his opinion as we move forward. Over everything, though, I am trusting God to direct me in how to best care for this young man who already has suffered so much. 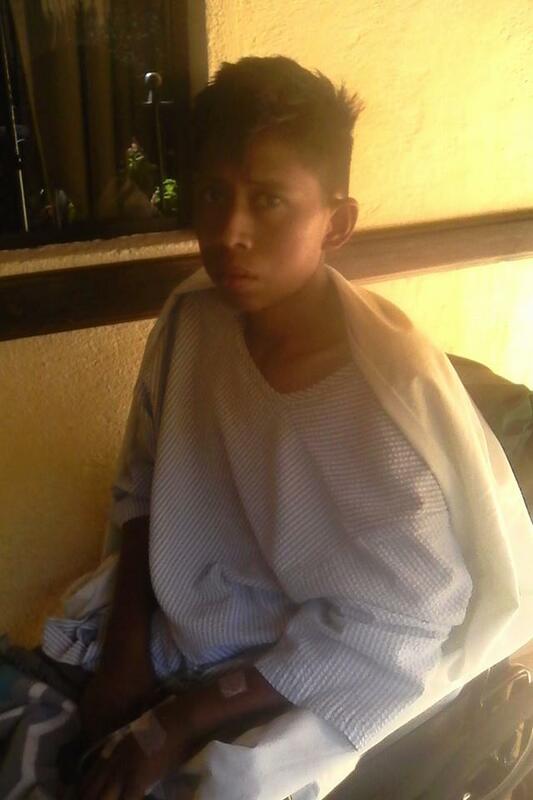 If you feel moved to help us with the cost of Roberto’s treatment, you can do so through the Josiah Foundation. You can contribute on line at www.josiahfoundation.com, using the link for Donations. 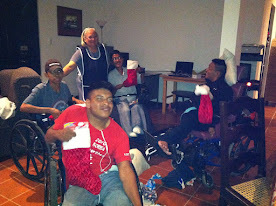 Please look for the link for Mission Guatemala.